I may have mentioned this one a few thousand times in the past but it still stands that this is one of the largest communities working together to bring high quality remixes and covers of video game music out there. If you aren't sure where to start, just check out their Youtube page and pick an album to listen to or search one of your favorite games and see what has been archived. Easily the largest collection of midi files from just about any game console. 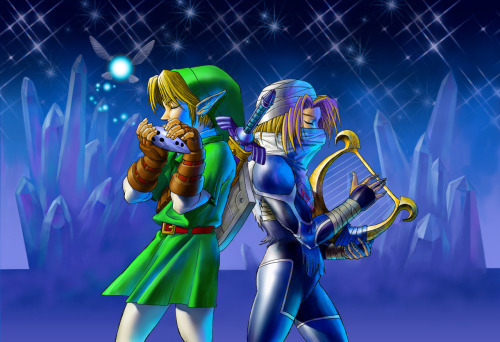 This would be a podcast that regularly shares some of the best video game music around. Everything from retro to modern games is loved and covered here and even if you aren't into listening to podcasts directly then you can still check out the lists for each link of what tracks were played in that episode. Game Music 4 All is a video game music news site that keeps people up to date on the latest and greatest. You can check their projects tab at the top and then click on the VG inspired band list to find tons of different artists to check out including artists I've mentioned in other Musical Chairs and Video Spotlights on the site. This is Kylak signing out and wondering what your favorite resource is.